Prospective, multicenter, randomized pivotal study comparing the HeartMate 3 LVAS with the HeartMate II LVAS; 1:1 randomization to either HeartMate 3 or HeartMate II. On October 23, 2017, FDA approved a new indication for Soliris (eculizumab), Myasthenia Gravis who are anti-acetylcholine receptor antibody-positive. 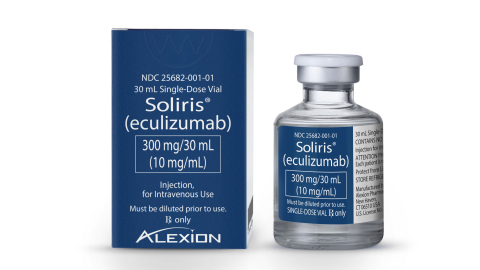 Soliris can lower the ability of the immune system to fight infections and therefore increases the chance of getting serious and life-threatening meningococcal infections. For more information, please read the medication guide, the Full Prescribing Label, or theapproval letter sent to the manufacturer.